Bella Belle Skin Lightening Cream helps even out your skin tone and reduce the appearance of dark spots while improving texture and brightening the skin. Start with clean, dry skin. 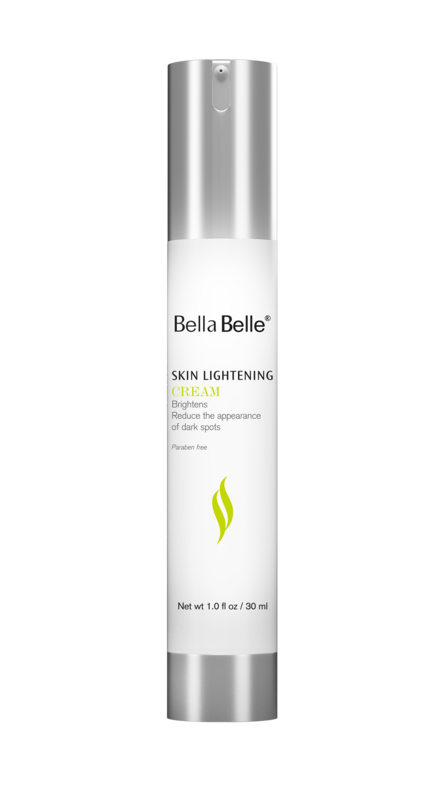 Apply Bella Belle Skin Lightening Cream to skin at night, avoiding the delicate eye area. A sunscreen of at least SPF 50 should be used when using this product to protect against UV damage and hyperpigmentation caused by sun exposure. Hyperpigmentation refers to excess, undesired pigment in the skin. This applies to various skin conditions such as age spots, melasma, acne scarring and post-inflammatory hyperpigmentation (a darkening of the skin caused by irritation). When treating any form of hyperpigmentation, sun protection is key. Always wear sunblock with broad-spectrum protection and with an SPF of 30 or more.